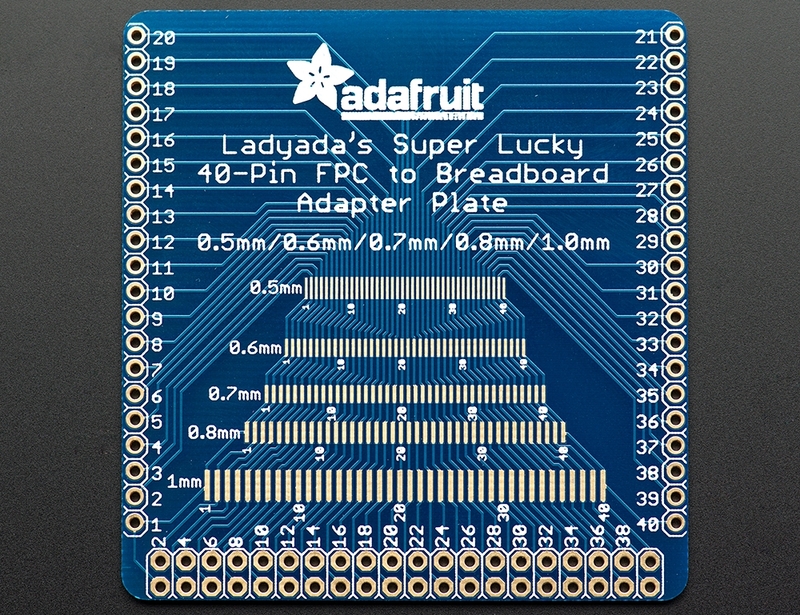 You will roll lucky 7's and connect to nearly any kind of FPC/flex cable with Ladyada's Super Lucky 40-pin FPC to breadboard adapter plate. 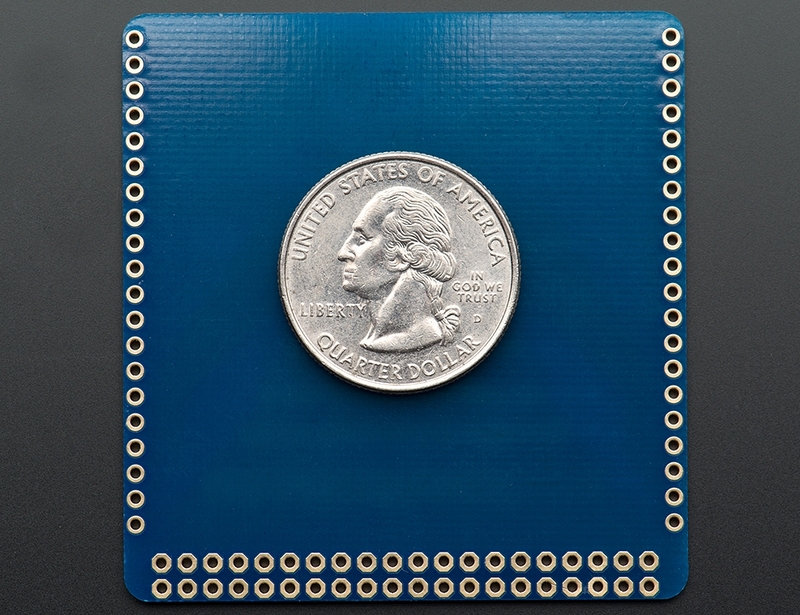 You get 40 pads of 0.5mm, 0.6mm, 0.7mm, 0.8mm or 1.0mm. It may even work for some 2.0mm pitch connectors. We designed this for use in house, to quickly connect to FPCs we need to test. But we also thought it might be useful for our customers. Each pad is broken out to both a 2x20 0.1" spaced header as well as two strips of 20-pin long 0.1" spaced header 2.1" inches apart. 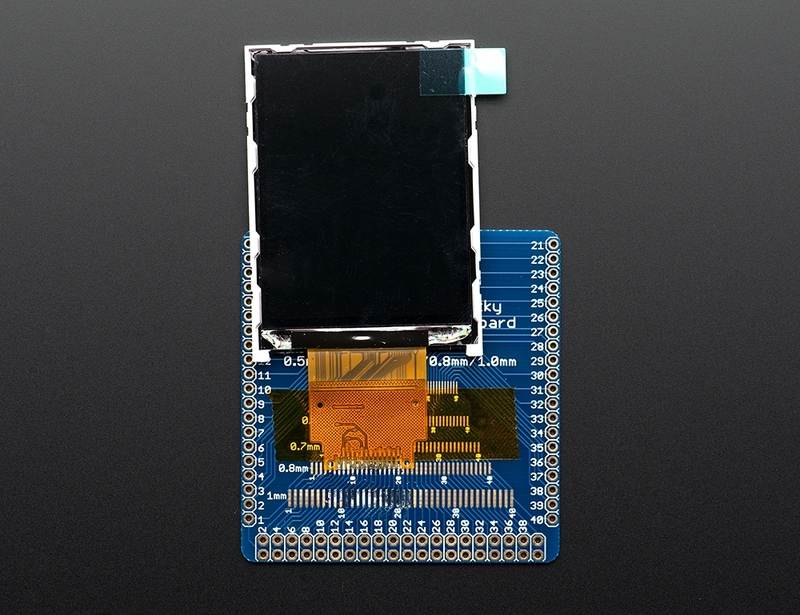 It can accommodate most ZIF and snap connectors or just solder the FPC directly on. This adapter will make prototyping much easier on you! 55.86mm / 2.19" x 58.46mm / 2.3" x 1.63mm / 0.06"